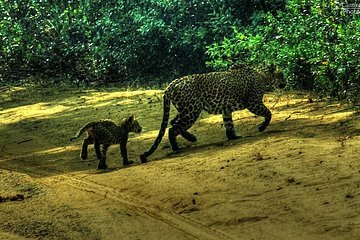 Embark on a safari through Wilpattu National Park on this private tour. Choose to be picked up from your hotel in Negombo or close to the airport for one of two departure times. Traverse the park in a private jeep in search of local wildlife including wild elephants and leopards. This full-day tour also includes lunch and bottled water for your convenience.